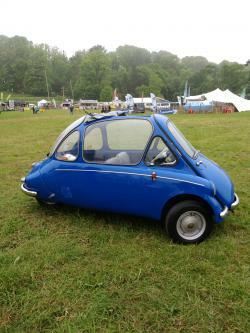 If you have come to visit ELVES when we are out and about at events over the summer, you may have met our Heinkel. Built in 1961 in Dundalk, our Heinkel plays a key role at ELVES. As well as featuring on our website, the Heinkel creates a lot of interest at events enabling us to talk to a wide range of people about car recycling and the ELVES network of permitted scrapyards (not that we would ever recycle the Heinkel!). Still young at 58 years old, we decided it was about time we gave the car a name. So in the run up to Easter we a running a competition on our Facebook page to name the Heinkel. Over the next fortnight we are running two semi finals to pick the two names that will make it to the final. Electric ELVES is available to all Authorised Treatment Facilities (ATFs) in the country. ELVES is about to turn 2! ELVES is about to turn 2! As we come to the end of our second year as the compliance scheme for End-Of-Life Vehicles in Ireland, we thought we would take this opportunity to reflect on what we have achieved to date. ELVES, the collective compliance scheme for end-of-life vehicles, are delighted to have rolled out their Traction Battery Programme and associated online training course. ELVES at the Ploughing Championships! The team at ELVES are busy this week at the 2018 National Ploughing Championships in Tullamore. 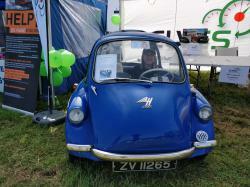 We have been out promoting car recycling at Vantastival. ELVES are delighted to announce the roll out of the Traction Battery Programme for all ATFs across the country. We are delighted to say that with the latest ATF sign up, we now have 49 ATFs across the country in the ELVES Network, meaning we have a presence all over the country. This week the EPA launched a new Waste Statistics Portal providing one online location for national waste statistics for Ireland. The portal can be used to find information on ELVs and other waste streams including electronics, composting, and packaging. Over the last few months we have been growing our Network of ATFs, our latest members being West Cork 4x4, DC Autospares and Greener Metal Recycling. It’s great to have them on board.